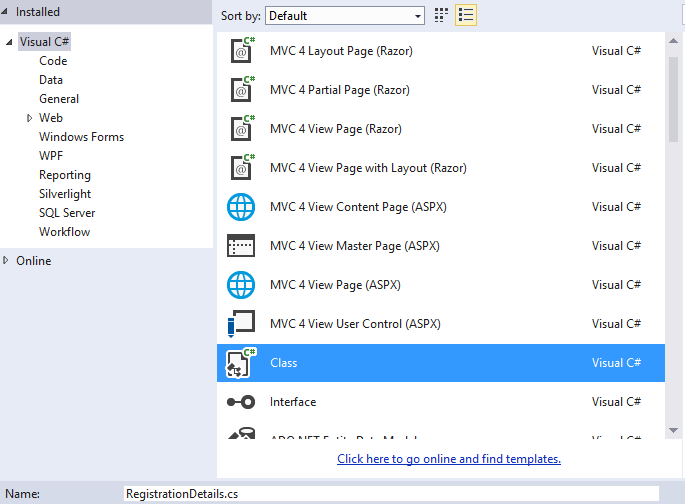 Create GridView using MVC and Razor. Hi, here i will explain you how to create a GridView Like Structure in MVC Razor View engine.In Previous tutorial i have Explained you How to Insert Details into Database using MVC. Here Using the Same details I am retrieving the same data from the Database and Displayed as a Grid. 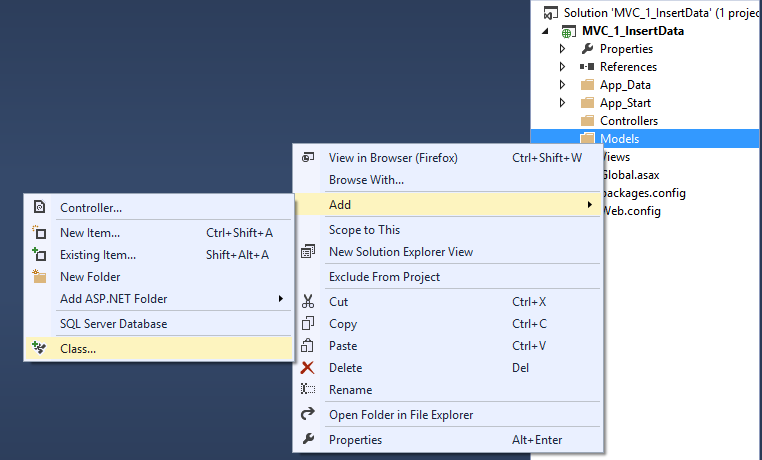 Step 2 : Select Empty template with Razor view Engine. Step 4 : Right Click on model folder add a class file to it. Step 5 : Give the name to the class file created in Model folder. Step 6 : Start writing code to model. Create Property class for the details to insert. Your model coding looks as below. 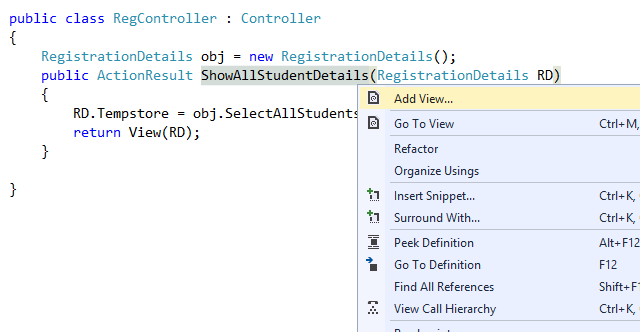 Step 7 : Right Click on Controller folder and create new Controller. Step 10 : Create view by placing your cursor near your ActionResult name as below. Step 11 : Keep View name as it looks. check strongly typed view select your model. Step 12 : Add the below code to the view. Your Coding part is completed. Now Run your Application,you will find an error that 'resource Cannot bee find' Now Change your URL As 'http://localhost:60622/Reg/ShowAllStudentDetails' to get Output. To avoid this doing manually later tutorials you will see Routing concepts.